After you go under contract on your potential new home, you should take the advice from your agent, and have the home inspected. 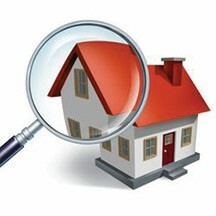 Always use a NACHI certified home inspector (National Association of Certified Home Inspectors). While your dad or uncle may know a great deal about homes and its faults, a certified inspector looks for the unobvious and will put all deficiencies in a category, so you know how urgent somethings need to be addressed. A typical inspection can run two to three hours long and even longer on more complicated homes. It is usually on a scale from one to five of which a rating of five would need the highest priority to get corrected. Listed below are usually the issues an inspector will address. Electrical: He will check the electricity, the polarity and the electrical box to make sure wires are installed correctly and without being double and triple tapped and any other obvious issues. Plumbing: Make sure the pipes, whether they are copper, plastic, iron or pecks are all are in good condition and not discolored, as is what usually happens with older copper pipes. Make sure all seals are secure and not leaking/ dripping. Appliances: Make sure they all functioning to the capacity they were designed for. Heating/ Cooling Systems: Make sure the systems and annually inspected and have current maintenance tags and performing to their optimal standard. Mold: Check for possible mold or mildew in attics, basements and areas that show signs of dampness or dark spots. Roof: Look for roof leaks, both by observing the shingles on the outside to the roof sheathing and rafters on the inside; and any signs of dark spots on the ceilings below. Look to see pine needles or caked on leaves, curling shingles - which shows the age of the shingles. Windows: Have the seals been broken? He will check for fogged up, broken, older windows and missing putty. Attic: Is there enough insulation, does the roof sheathing, or rafters show signs of dry darkening water stains or even worse, mold? These are all signs of a problem but the inspector will point out these signs. Foundation: Does the foundation show apparent cracks or displacement due to shifting? Trees, Bushes: Are your trees too close to your house? If they are too close, they will keep your home dark, which can promote mildew/ mold and tree roots into your foundation. Septic System: Most homes in Maine have a septic system - make sure you check with the town for septic design. If there is a septic design on file at the town, make sure it states the bedroom count that it was designed for. As you can see there are many things to learn about with your new home. Take the advice of your inspector and go over what are the most urgent things to address first. The costs of inspections are different between companies so check with your agent so you know in advance and these costs are all paid for by the buyer at the time of the inspection. Richie Vraux is a buyers’ and sellers’ broker with RE/MAX Allied. Call him if you have any questions about your home at 207-317-1297.